For many people – their favorite cheat meal or “treat” meal is PIZZA! Who doesn’t love the hot dough covered in cheese and toppings? Unfortunately, pizza is not usually considered a “clean diet” meal, because it’s usually loaded in calories and fat and is usually not very nutrient dense. 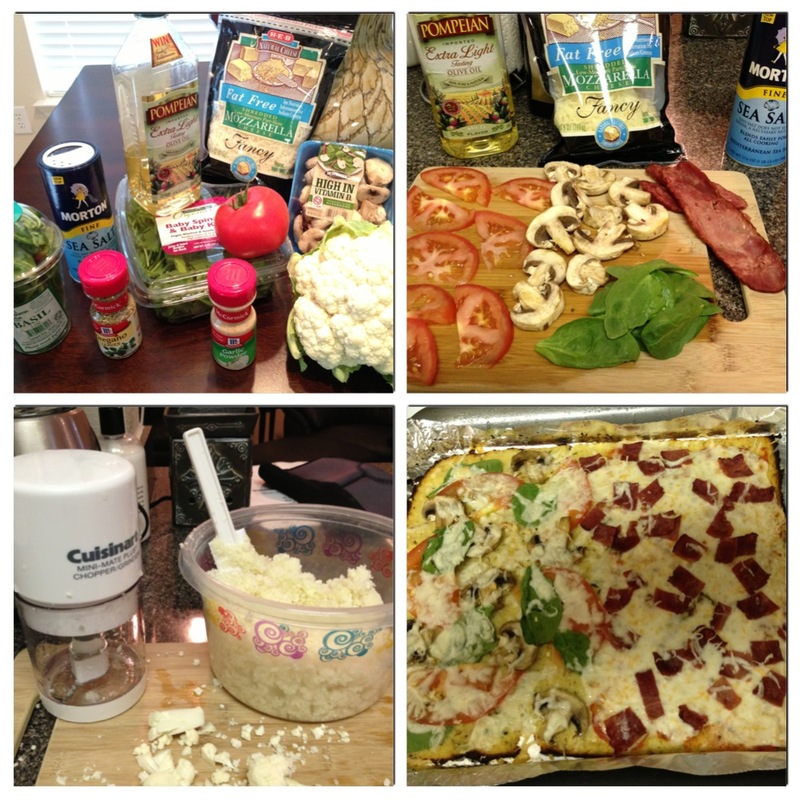 BUT, now there is a wonderful thing called cauliflower crust pizza! I’m sure most of you have heard it by now. The cauliflower makes the crust – instead of carb-y dough. This way you save on calories and carbs and get a few extra vitamins and minerals! You can find many pre-made cauliflower crusts and some grocery stores that are good – but be careful because some still have a lot of added ingredients. If you can’t find a good one – try making your own! It does take some practice, but I think the flavor of the home-made crust is usually better than store bought. Check out this recipe we found online (and tested several times)! Cut cauliflower head into florets, add to food processor and shred well. Place in large bowl and add about 1/8 cup water, cover with plastic wrap, microwave 8 mins. While microwaving, pre-heat oven to 400F, prepare 1- 1/2 cups mozzarella cheese, set aside. In small bowl add one cracked egg, seasonings, and 1/2 cup mozzarella cheese. ex: zucchini, mushrooms, olives, bell peppers, pineapple, baby spinach leaves, artichoke hearts, basil leaves, tomato, turkey pepperoni, turkey bacon, seasoned chicken. When cauliflower is ready, make sure to drain any excess water, add egg/seasoning mixture to cauliflower bowl and mix well. Place aluminum foil over entire cookie sheet, spray generously, pour cauliflower mixture onto it and shape in into a rectangle with spatula, go around edges to get a good shape. Bake for 15-20mins until it starts to get golden brown in spots and look a little crispy. Pull out of oven, turn it to broil-hi, add pizza sauce, remaining cheese, and toppings. Place in oven for 5-7 more mins (keep an eye on it) when it is cooked to your preference, remove from oven. I recommend eating it with a fork and knife, especially if it’s still pretty hot. Enjoy! 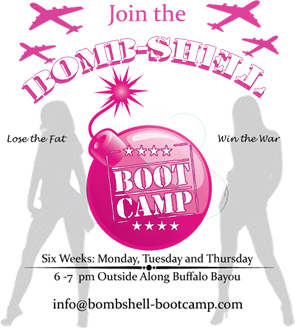 ← Holiday Camp Starts Next Week!